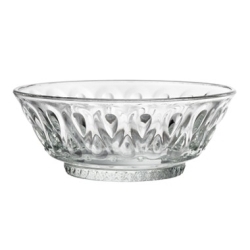 At Ann Marie's, we truly appreciate the good things in life. 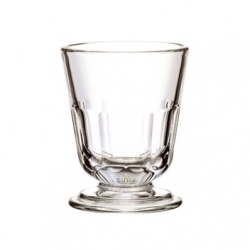 Family and friends gathered together in your home, a bounty of amazing food and drink on the table, and every detail attended to with style. 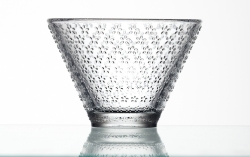 Europe has given us so many of those "good things" when it comes to handcrafted pottery, woven linens and high quality glassware, and the artisans of France have led the charge at every turn. 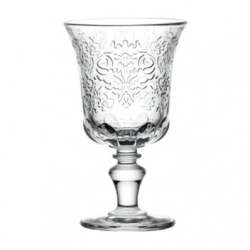 When you look at France's rich history in the arts, the name La Rochere figures prominently. 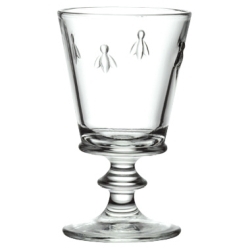 Established in 1475, the La Rochere Glassworks stands today as the oldest glass maker in Europe, and the craftsmen and artists at La Rochere use the same "handmade and mouth blown" techniques as their ancestors. 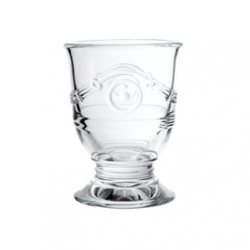 Their advanced mastery of the glass medium has made La Rochere the most respected name in the glassware industry, and Ann Marie's wants you to experience it firsthand. 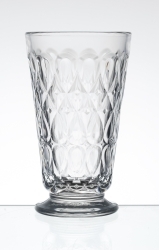 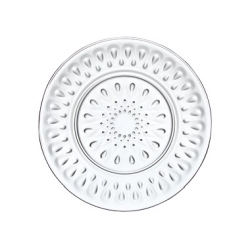 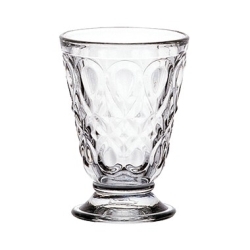 Both highly collectible and totally functional, La Rochere's artistic glassware feature several patterns that have become synonymous with the La Rochere name. 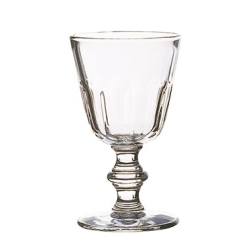 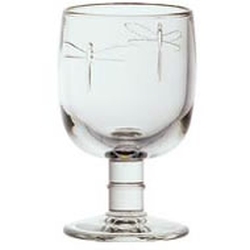 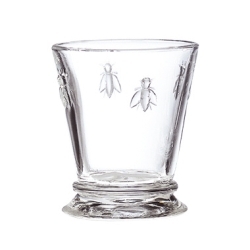 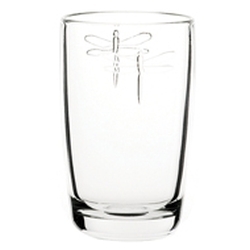 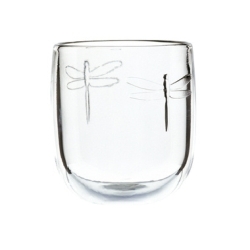 As you browse our selection above, you can see the delicate stylings of the classic Butterfly, Dragonfly and Napoleon Bee embossed on the flawless glass goblets, tumblers, wine glasses and more. 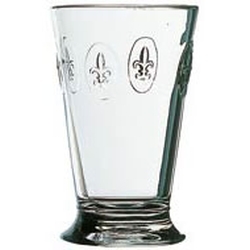 The French standard, the Fleur de Lys, is celebrated in one line, while the Anduze collection, whose emblem is inspired by the by the French town of Anduze and its beautiful terracotta urns. 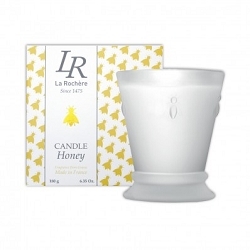 Perhaps the nicest aspect of La Rochere is that it is extremely affordable, so starting a La Rochere collection, or adding to your existing collection, has never been easier. 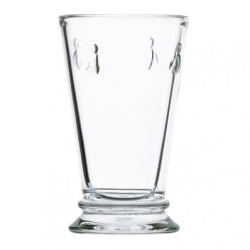 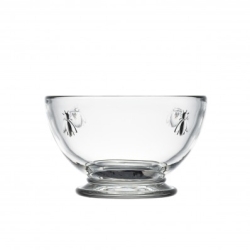 Choose from the great selection of La Rochere Glassware above, or put your traveling shoes on and explore all of our other European gift locations in the handy drop down menu at the top of this page. 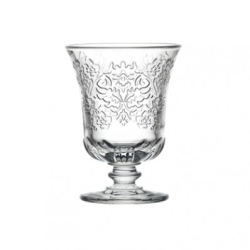 If you'd like to start making lists of all the amazing tableware, glassware and European gifts you want, there is a wish list and gift registry function as well. 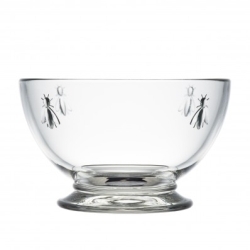 At Ann Marie's, we enjoy introducing you to the world of fine European pottery and home wares, and want to ensure your satisfaction on every visit. 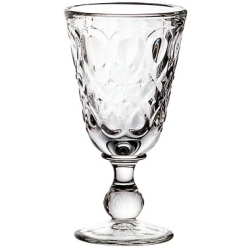 If you need any assistance with your order, or would like to inquire about specific collection pieces, we welcome your call at 1-800-706-9993.